Days and hours of operation subject to change. Fairmont Mayakoba ofrece servicio de valet para un auto para huéspedes del hotel. Para los visitantes que consuman en Brisas se ofrece valet parking en cortesía durante el horario de servicio del restaurante. Las Brisas ofrece entretenimiento en vivo durante el servicio de cena. Las Brisas cuenta con un área privada con capacidad para 14 personas cómodamente sentadas, ideal para cenas privadas. Sujeto a disponibilidad, el área interior de Las Brisas puede rentarse para eventos privados, con una capacidad para 90 personas. Para eventos privados aplica un costo por renta, el cual es adicional al costo de alimentos, bebidas, decoración y entretenimiento. Para su conveniencia, para eventos privados ofrecemos la opción de menú fijo, el cual se puede ajustar al número de personas y a sus preferencias. 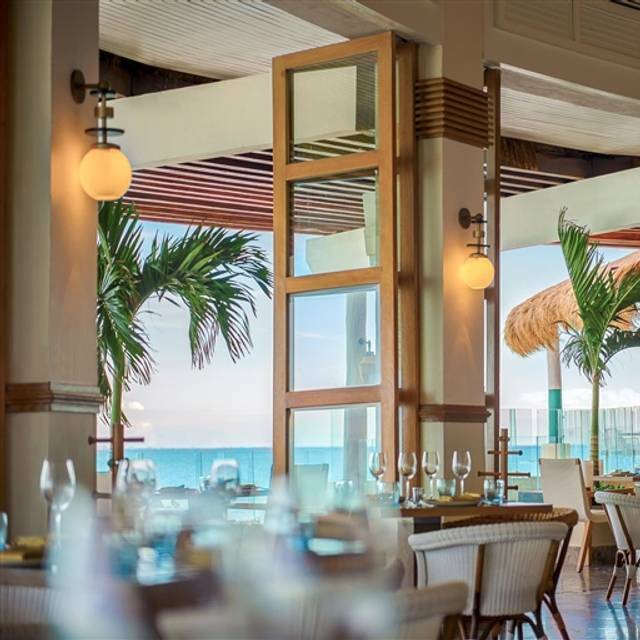 Brisas, Fairmont Mayakoba's beachfront restaurant in Riviera Maya, is the ideal place to enjoy delectable cuisine and refreshing beverages overlooking the beautiful Caribbean Sea. 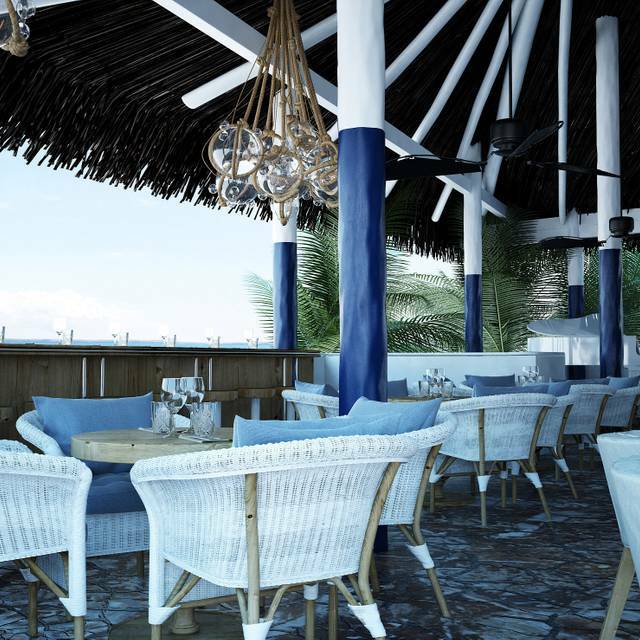 Under the direction of acclaimed chef Diego Sobrino, known from Top Chef Mexico the exciting features of this AAA-4 Diamond restaurant include a raw bar, cevichería—fresh seafood served ocean to table, an oceanfront bar and a wood-fire grill serving cuts of meat. Enjoy Brisas Mayakoba and its curated menus featuring a wood fire concept in a spectacular luxury setting and stunning views of the Caribbean. The service is good - all the servers are incredibly friendly and helpful -- albeit a bit slow at times (we've been twice for dinner, once for lunch, once for breakfast), but that's ok because it's vacation and it's a beautiful spot to eat any time of day, and there's no reason to rush. I think some of the food, like the steaks, are over-spiced and too salty — the steaks themselves were good but they didn't need so much seasoning/salt. Same with the fish sandwich at lunch. I would appreciate some basic salads - just vegetables and good greens, maybe a little cheese or other protein. All of the salads except the caesar, which really isn't a Caesar, are very heavy. 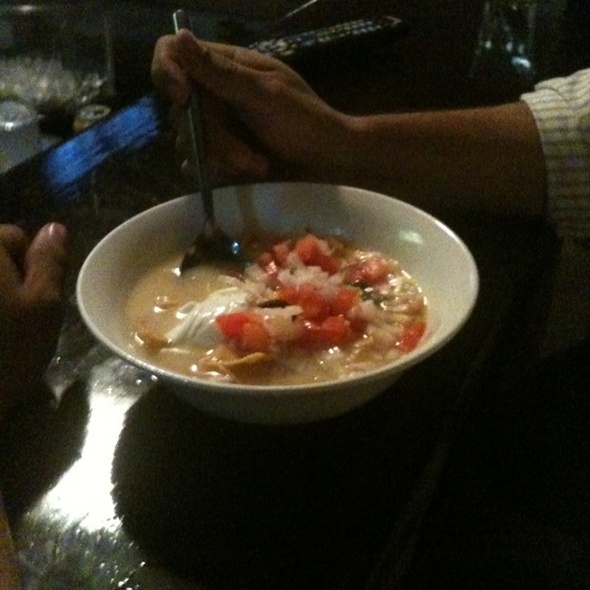 Some lighter soup or starter options might be nice too. But overall, a lovely dining experience. As for cost, if we weren't staying on an all-inclusive plan at the Fairmont, I'd say it's ridiculously expensive. What a beautiful dining room next to the ocean. So romantic. Wonderful food, great service. The sea bass wrapped in leaf is delicious. Loved the crayfish on the menu. All very nice. Good option for grill lovers. Dinner was great, Brazilian night. We have been to Las Brisas before and always enjoy it. This trip the breakfast has changed from the buffet they had last year. 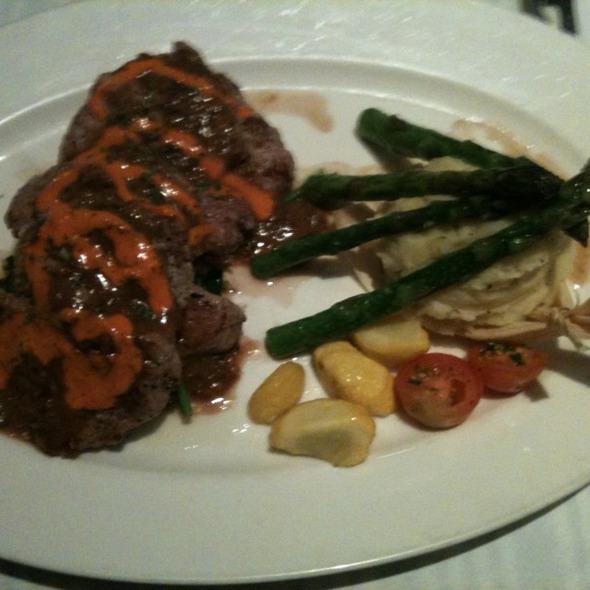 It is really nice, you order your entree from the meant, amazing choices. Then the servers come around with extra items like, fruit, pastries etc. Ana the manager is fabulous and really makes us feel spoiled. The food is mediocre at best and wildly expensive at the same time. La nourriture et le service sont excellents cependant les prix sont très élevés. Diable nous ne sommes pas tous millionnaires! Service and food were at par with a three star level restaurant. However, the reason for my low rating is due to the fact the place was full of kids screaming, running and crying all over the restaurant at 9:00 o’clock at night! So if you are planning to have a romantic or business dinner or simply want to get together with friends I would not recommend this place. Las Brisas is a fabulous restaurant for any occasion. It is part of the Fairmont Hotel in Mayakoba. 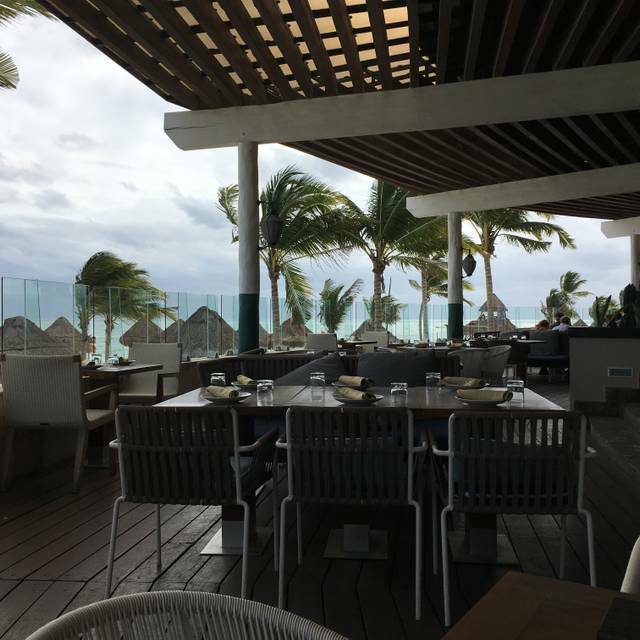 It sits overlooking the Caribbean and has indoor or fabulous outdoor seating. 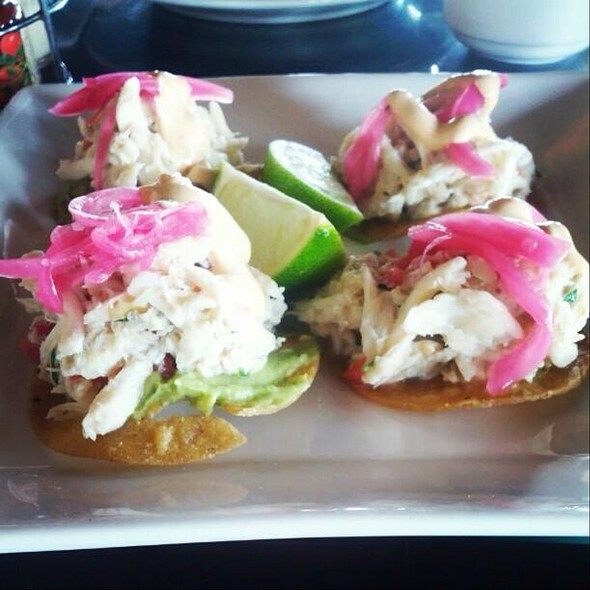 I have included a photo of one of our favorite appetizers: Crab Avacado Toast!! Totally over rated. Octopus appetizer, lobster tacos and fish of the day inedible. Over priced, over rated. Go to the Rosewood buffet instead, heard it was fantastic! Outstanding food on the ocean. We ate here breakfast lunch and dinner during course of our stay. Dinner menu was wonderful. Very relaxed service (a bit busy but a 2.5 hour meal). I'm sure you can get through dinner faster if you wish. Get the tuna tartare and lots of oysters. 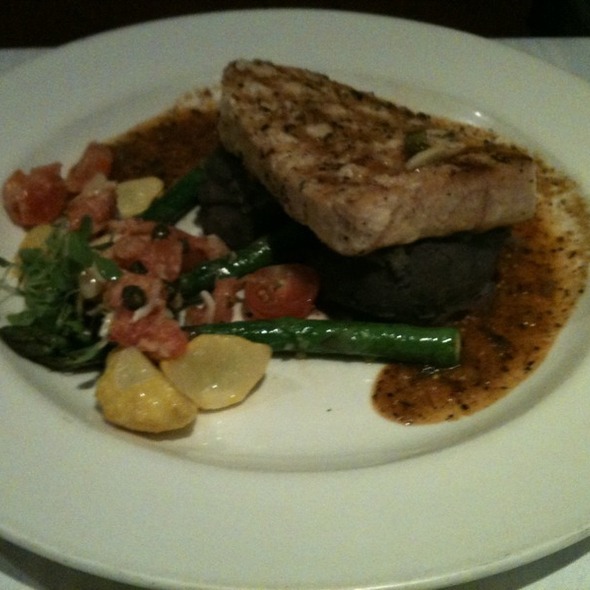 This restaurant offers refined, high quality food and cocktail options, whether you are looking for fresh fish creations or simply a beef filet steak cooked to perfection. (Most of) the service personnel is top, as you would expect from a superior hotel/restaurant. Whether you prefer sitting outside or inside, the ambiance and view over the beach and seafront are great. All in all, while all restaurants at the Fairmont Mayakoba resorts are very good, this one stands out through its food choices and location. For those who did not book the all inclusive wine & dine option, prices may seem excessive despite the food & service quality - therefore if you want to enjoy good food & drinks without worrying during your stay, this option is absolutely recommended! Breathtaking views of the beach below. Came right at sunset. Delicious food although I wasn’t impressed with the wine. Great service. Nice quiet evening. The service at this restaurant is absolutely outstanding. Nothing they can't do or get for you, and they do it with a smile. Very well trained and are at your service, no matter what the request. I wasn't feeling well that evening, and the server was extremely sensitive to my needs and made every attempt to service us well. The steak however was under cooked and my husband returned it to the kitchen for re-fire. The sweet corn soup was simply divine. Specialty drinks are hit or miss, so don't be afraid to say you don't like it! They'll take it off your bill and replace it with something you will enjoy. Lots of children at the resort, and the seating is kid friendly. The menu has gluten free and vegetarian options, but be careful....some are not very tasty. Overall, a good experience and better than most resorts can offer. The view is breathtaking, but the best part of this restaurant is the quality of food and service. We were greated everyday by a smiling team, the food is 5 stars quality and the service is impeccable. I highly recommand the grilled avocados and the shrimp toast with the passion fruit slasa!! Gorgeous beach setting and incredibly good food. 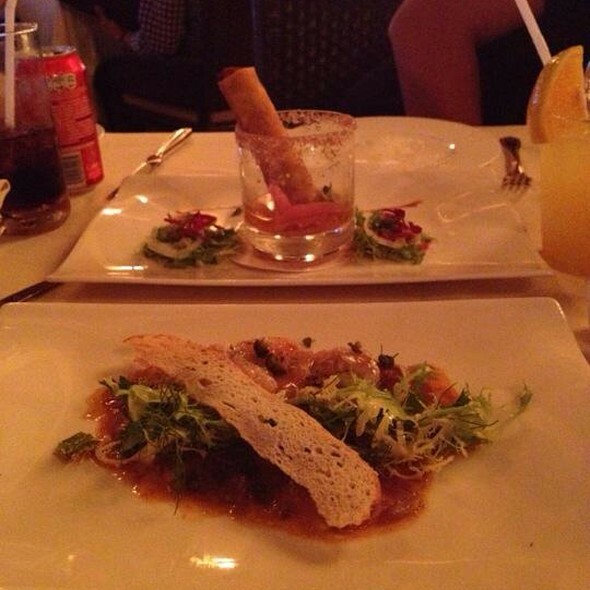 We dined there several times during our stay, the experience (cuisine, service, ambience) was always perfect. My family is vegan, and Chef Daniel Hernandez prepared magnificent meals for us using fresh, seasonal, local ingredients that let us enjoy the full flavors and textures of traditional Mexican cuisine on a vegan diet. It was a stand-out highlight of our trip. Beautiful location and amazing food! The view from our table was spectacular. I went with my almost two year old daughter and the server was so attentive, we got our food fast but didn't feel rushed. Great place for dinner. Great restaurant with great atmosphere and food to match. Both times we are there were amazing. The plating is a work of art and so are their cocktails. You will not be disappointed with the food nor the service. Great location with a good menu. We ate as a family if 4, 2 kids, 2 adults for dinner. We had a reservation but they only had tables outside and it was terribly windy and my kids were cold. Our fish was undercooked and while they didn't charge us for it in the end, the chef came out to talk with us and seemed offended. But the fish was transparent and clearly undercooked. We'd never go back as the atmosphere isn't anything special and the food is overpriced and nothing special. like his assistant was visable but not overbearing ! Of especial note was the wonderful mixed fish grill ! This place is very nice but over priced in my opinion. We sat outside and there were tables on their phones, some on speaker using FaceTime, one group playing a drinking game, on couple with 3 little kids with one crying the entire time (after 9pm). If all of those people were asked to behave or leave it would have been a great experience. Why can't people go to the lobby if they want to be on the phone? I always do! The food was really good though you were paying resort prices. Service was fine but not amazing. Food was not good at all plus they played loud salsa music. Which was not bad if it was not too aloud but it was n inappropriate. Will not dine here nor suggests to anyone that's in this area. Too bad but Fairmont needed to know. This restaurant has an incredible view, gourmet food, impeccable service and beautiful decor! A wonderful dinner! Live dinner music would have been a perfect compliment to the evening. 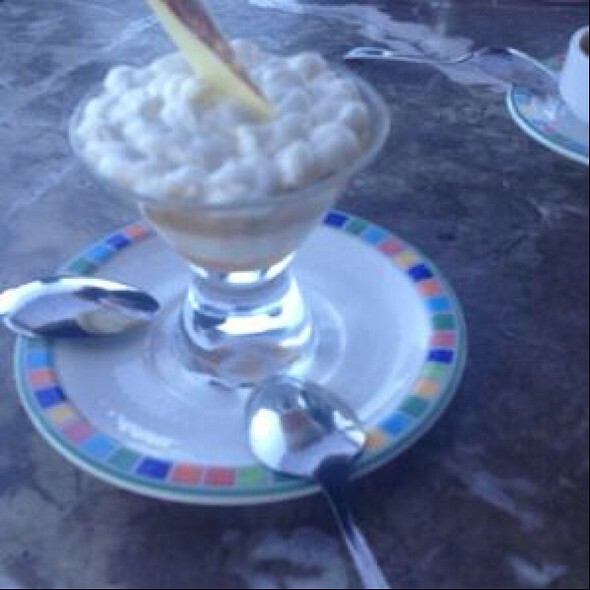 The service at Las Brisas was perfect and the food was amazing! Great place! Could not get any closer to the Gulf...great breeze coming off the Gulf! The services is top notch! We enjoyed breakfast, lunch, and dinner! Lots of seafood choices on the menu. We were very pleased with everything we tried! I highly recommend this restaurant. To start off with, we went for supper one night and for lunch the next! The catch of the day, the octopus salad, the pasta with shrimp,the tuna tartare, the place itself and the service were superb! If you are staying at the Fairmont Mayakoba, you can hardly go wrong with any of the three restaurants on site. Each has its unique flair and flavors, but the atmosphere at Las Brisas combined with the staff and food are very hard to beat. From the whole fish to the Crushed Corn Soup (without any cream), or the Calamari or fresh seafood, each was better than the next. And the wait staff, very attentive. Enjoy the view, a nice drink or a glass of wine, and savor the made fresh daily flavors while sitting in a high class restaurant with a gorgeous view of the ocean. Had a table overlooking the ocean with a full moon. The food and the service were fantastic!